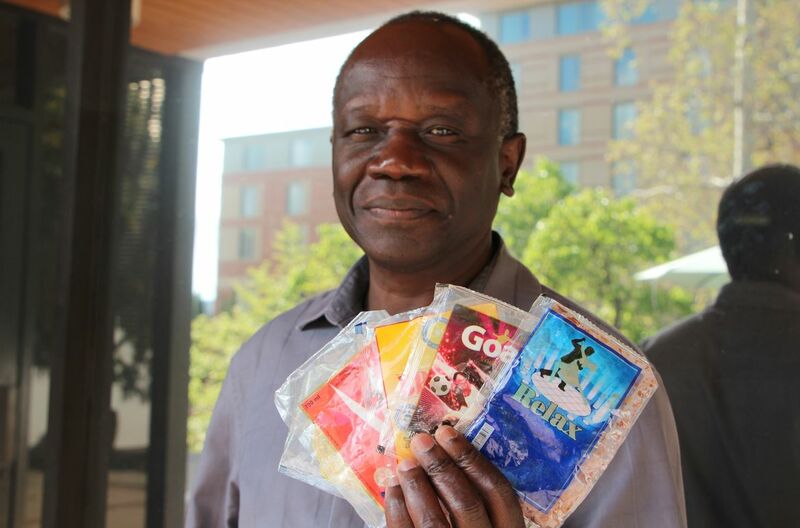 Ochan Otim studied the liquors sold in these small plastic bags and found that they regularly contain dangerous contaminants. UCLA Extension’s Ochan Otim is a chemist who specializes in developing methods for quantifying and assessing the health risk associated with organic and metal contaminants in the environment. For the last few years, Otim, who grew up in Uganda, has been driven to use his expertise to try to help solve a dangerous mystery in his country of birth. Why were so many people having health problems and even dying because of alcohol consumption? The two-decade civil war in Uganda beginning in the late 1980s ravaged the country with violence, abductions, concentration camps and starvation. The inhumane conditions and abject povery led to trauma and depression. Consequently, Otim said, many people were driven to drinking to alleviate their suffering. Anecdotally, he added, there was talk of dangerous potency in the spirits available on the market in the city of Acoli. This was leading to a widespread culture of fear in the area and calls for a ban on alcohol. Otim wanted to determine what the actual cause was because without that knowledge doctors and lawmakers would not be able to develop an effective solution. 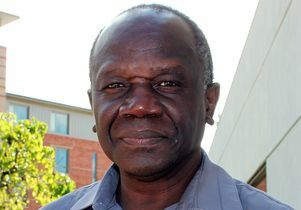 Otim, who teaches chemistry at UCLA Extension and is head of an organic chemistry laboratory in the City of Los Angeles’ environmental monitoring division, recently published findings in the journal PLOS One showing that certain alcohols sold in Uganda contain dangerously high levels of metals, including carcinogens. In an interview, he talked about his findings and what recommendations could help. I lost three siblings in rapid succession prior to this study. Everyone, including my mother, is convinced the sachet alcohol had something to do with their death. My story, however, is not an isolated case in Acoli. Being a chemist, I was curious to find out what could be in the alcohol that might account for the deaths that anecdotally were linked to high alcohol consumption. 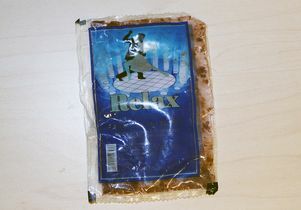 We wanted particularly to investigate and establish the evidence of the composition of the contents, and statistically and factually corroborate or repudiate the claims that the sachet spirits, which are alcohols sold in plastic bags, were contaminated and contained more than just alcohol. Besides, there had been widespread talks of deaths and illnesses attributed to heavy drinking; we wanted to know if there was indeed plausible scientific/chemical basis for these fears. Residual contaminants in this empty bag of liquor. What types of health problems have people had related to the consumption of contaminated alcohol and how many people seem to be affected by alcohol-related illnesses? There have been many claims linking respiratory, mental health problems, liver, skin and kidney problems, cancer and all kinds of ailments to heavy consumption of alcohol in Acoli. All known symptoms of alcohol-related illness are visible in the population, including weight loss, addiction, reduced appetite, swollen stomach and cheeks, red eye, dark/dry glittery skin, deformed finger nails and others. It is not possible to give precise figures of how many people are victims, but it is safe to say that the problem is pervasive in the entire northern region of Uganda. Perhaps, now that we have done this study and found that these brands of spirits are contaminated and pose serious health risks, it will be possible for other researchers to specifically examine health records and be able to correctly determine the number of deaths and illnesses that can now be directly linked to the contaminants and consumption of sachet alcohol. What did you find about carcinogens in the alcohol you sampled and how does this compare to alcohol sold in other countries? Four known carcinogens were found in the spirits: ethanol, which is the intoxicating agent; arsenic; chromium; and lead. Seventeen other metals, also found in the spirits, are potential carcinogens as well depending on how much of those metals a person ingests. It must be emphasized though that there are no safe levels of carcinogens. 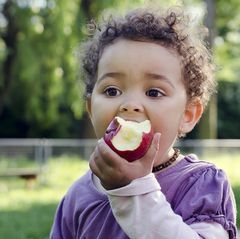 How do the metals get into the alcohol? Your guess is as good as mine. But it is possible that the contaminants are from distillation processes, the vessels used, poor quality control, and perhaps storage and packaging containers. It is important to definitively settle the question of how these contaminants got into the alcohols. If indeed it is from distillation and packaging processes, then public health, regulatory and state authorities need to move swiftly to put the producers out of business. And this is a very sensitive question that the authorities and the manufacturers of the spirits, and the public health authorities need to make efforts to find satisfactory answers to. A lot of the alcohols you examined are sold in sachets. Does using plastic bags, as opposed to glass bottles like in the United States, make the alcohols more vulnerable to contamination? In your conclusion you mention increasing public health education about the health risks of excessive alcohol consumption. What type of public health education exists now in Uganda and what changes do you think should be made? No clear campaign is in place currently; the sale and consumption of alcohol is uncontrolled. The problem is also not simply the heavy consumption of spirits, but the consumption of alcohol heavily contaminated with harmful metals and organic contaminants, which is a subject of another study. The first point of action is quality and standard control. The second one is the control and restriction of the availability and sale of alcohol. And finally, public education — in churches, at schools and in families — about the risks of heavy alcohol consumption, such as contracting specific diseases like liver cirrhosis and cancer. We are aware that this will be difficult to implement for two reasons. The industrial production of spirits is barely regulated in Uganda. Added to this, the production of the cheaper homemade alternatives is based mainly in the rural areas to the extent that many peasants now rely on alcohol production as a significant source of their income. An alternative source of income must be found for people so they don’t feel like they have to make their own alcohol. What can and should be done to increase the safety standards for producing alcohol? Do you believe your findings also hold for other countries in sub-Saharan Africa, such as Kenya and Tanzania, and do you have evidence for the widespread contamination of alcohol in sub-Saharan Africa? Yes, because the conditions are similar. In 2018, the World Health Organization reported that four out of every 100 deaths in Kenya is linked to alcohol use. In 2014, more than 60 people died after drinking homemade alcohol believed to have been laced with industrial chemicals in the country. In 2005, 49 people in Kenya died after consuming a black marketed alcoholic brew laced with poisonous methanol. In Tanzania, a criminal gang flooded the market with potentially deadly alcohol in 2016. In addition to that, contaminated grains and fruits were shown to be used in the production of spirts, the products of which contain four times as much zinc as is allowed by the World Health Organization. Ochan Otim, chemistry instructor at UCLA Extension. Previous Story 10 reasons to join the Cool Campus Challenge Next Story Is higher education at a tipping point?